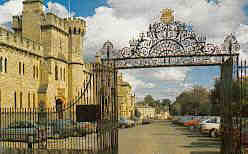 Cirencester (often referred to as the Capital of the Cotswolds) was the second largest town in Britain during Roman times. Today the former Corinium Dobunnorum is home to more than 18,000 people and a service centre for the thousands more who live in surrounding villages. In later years it was a very prosperous medieval wool town. Cirencester's market square is dominated by the cathedral-like Parish Church of St. John Baptist (one of the largest in England). The large south porch with its impressive fan vaulting was built about 1490. The town contains many interesting buildings spanning several centuries. 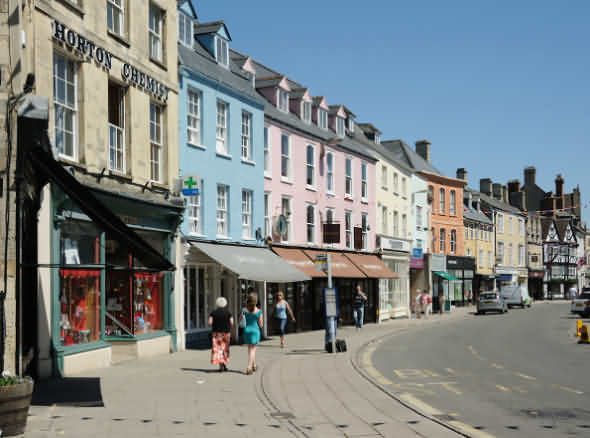 Cirencester's market town status was mentioned in the Doomsday Book of 1086. Traders still set up their stalls every Monday and Friday and since 1999 the town has had its own farmers' market. Crafts and antiques markets are also regular attractions. The first Agricultural College in the English speaking world was founded by Henry 4th Earl Bathurst who became founding president of the Royal College of Agriculture in Cirencester. The college was established to train young farmers in the best agricultural methods of the time and to lead the way with innovations. 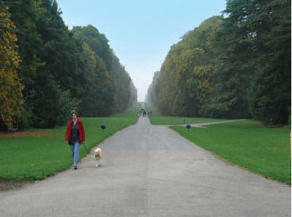 Cirencester Park is probably the finest example of geometric landscaping in the country. See below. 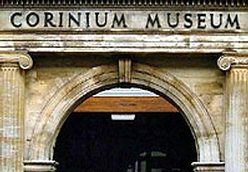 Corinium Museum of the Roman past. Community Arts Centre - centre for Cotswolds contemporary art. Open: 8:00 am – 3:00 pm, every Friday. 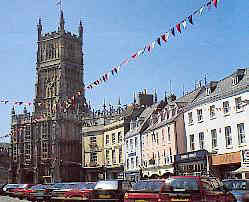 There has been a weekly Antiques & Collectors’ Market in Cirencester’s Corn Hall every Friday for more than 4 decades. Upwards of 40 dealers offering quality antiques and collectables, including silver, glass, ceramics, metalwares, postcards, ephemera, jewellery, furniture, paintings and prints. Entry is free, and there is excellent town-centre parking. is the largest parish church in Gloucestershire and its 162ft (49m) high tower is the tallest in the county. Church tours are available throughout the year and on special days the tower is open to visitors who are prepared to climb the narrow steps to the top in order to enjoy a panoramic view over the town. The Festival of Arts takes place every June. In 879AD the Viking Great Army marched across the Cotswolds and encamped for a year in Cirencester. Situated to the west of the town, this is a superb example of a forest style garden and is well worth a visit, it can be reached via Church Street and Cecily Hill. It is here where entrance to the park is gained (see picture above). With its width of 4.8 kilometres and a length of 8 kilometres and occupying some 3000 acres it provides an opportunity for the visitor to walk in a relaxed environment. At the entrance stands a castellated building it has been known as the barracks and also as the armoury. It was built in 1898 and was at one time the Head Quarters of the 4th Battalion of the Gloucestershire Regiment, it is possible to visit this building. The mansion built in the early 18th century is not however open to the public. Allen Bathurst was the 1st Earl Bathurst, an honour which was bestowed 60years after being raised to the peerage in 1712. Sir Charles Bathurst (Lord Bledisloe) created the Bledisloe Cup competition for the Best Kept Village in Gloucestershire and the rugby union match between Australia and New Zealand. It was his friendships with Alexander Pope the satirist /poet, garden and landscape designer (1688-1744) and Stephen Switzer landscaper and designer (1682 –1745) that helped him to develop the park which can be seen today. Alexander Pope, apart from being a leading poet of the age, was an expert on the classical land-scapes of ancient Greece and Rome and a enthusiastic supporter of landscape gardening rather than the, in fashion at the time, formal rectangular gardens. In return for Pope’s assistance in design and practical help, Lord Bathurst created a folly in his park, which he named Pope’s Seat, after his friend. Alfreds Hall folly was built in the grounds of Cirencester Park, begun 1721, designed by Lord Bathurst with Alexander Pope's advice, completed 1732. Probably the earliest 18th century mock Gothic castle; part former house, part banqueting house and part mock ruin. Located in Oakley Wood, with rides radiating from it through the wood. 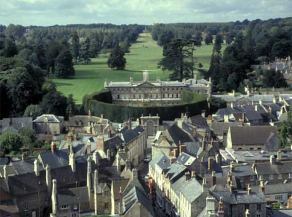 Pope visited Cirencester Park over a 30 year period, which emphasises his involvement in its development. The park design is said to have been largely inspired, by baroque geometry with intentions to make it both useful and peaceful, this has certainly been achieved. It is these attributes that attract walkers to visit. Dog owners are permitted to walk their pets (on a lead and must not be allowed to foul). See notice at park entrance, which gives the permitted areas. Visitors on horseback are allowed to exercise their horses. Unaccompanied children are not permitted and visitors must take their litter home. Benches are placed at intervals for those who just wish to take their ease. Opening hours 9am –5pm. Admission is free with the kind permission of Lord Bathurst. Amongst events held in the park is the Cotswold Show, the dates for 2008 being Saturday 5th July and Sunday 6th July. This show is a family fun day with events to suit all. 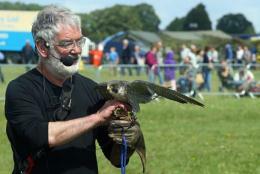 Included is a monster truck show, exhibitions, country pursuits a dog show and much more. A Caravan Club site adjoins the park and has a connecting footpath. 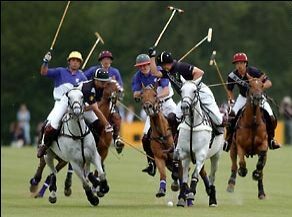 Within Cirencester park is the famous Polo-ground, founded in 1894 and is the oldest polo playing ground in the UK. Its idyllic surroundings make it probably the prettiest. Here it is possible to see world-class players competing, at the reasonable cost of £5 for a day ticket, which permits holder’s over 15 years of age to use the member’s restaurant and tearooms. Amongst those who have played here are the Royal Princes William and Harry and their father Prince Charles. The event held every year at South Cerney Airfield 4 miles from Cirencester. 3-5 August 2018 will see the Stroud Vintage Transport & Engine Club (SVTEC) stage their Annual Show at South Cerney Airfield in Cirencester, Gloucestershire. The show is widely regarded as one of the biggest and best Steam, Vintage and Countryside events in the UK and attracts thousands of exhibitors and visitors from across the country whilst actively raising thousands of pounds for both national and regional charities. • Vintage displays of nearly 700 classic cars from pre and post war, including over 70 Classic American, plus 230 Motorbikes, scooters, 70 bicycles from 1903 - 1980, 30 miniature steam engines, 90 stationary engines, 70 full size steam engines, model engineering, 200 Tractors, over 80 Buses and Coaches, 120 Military Vehicles, 240 Emergency and Commercial Vehicles, 60 Industrial Trucks, 50 vintage Caravans and a large model Aircraft flying display. • Vintage Fun fair with the popular Fairground Organs, 'electric yachts', waltzers, big wheel, Punch and Judy Shows, steam-driven 'gallopers' and traditional penny arcade games, plus a ride on a model stream train, or ‘Chuffy the train’, and traditional games. • The Cotswold Dog and Cat Home from Cambridge in Gloucestershire, will be hosting the now ‘famous Dog Show’ with categories such as Scruffiest Mutt, Quickest Sit and Waggiest Tail, plus the Countryside Arena will feature ferret racing, rare breeds, animal conservation, alpaca’s, shire horses, horse logging, sheep shearing, falconry displays to sheep dancing and reptiles! • Massive Trade stand area with over 100 trade stalls, models tents, craft marques and specialist displays of memorabilia from a bygone era. • Jump4Heroes parachute display team will descend into the arena on all three days of the event. Jump4Heroes is The Royal British Legion Extreme Human Flight Team, made up of serving and former members of the Army, to support and raise awareness of the Armed Forces charities. Chairman of the Stroud Vintage Transport and Engine Club (S.V.T.E.C) Martyn Slater, said: ‘Our goal has always been to give the best value for money family day out in Gloucestershire, with something for all of the family to enjoy. The show has evolved allot over the past 40 years, but the mission remains the same - to inform, educate, entertain and celebrate our unique transport history and the preservation of historical vehicles”. 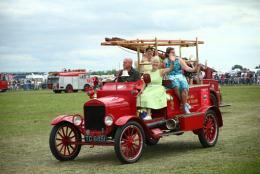 The Extravaganza is organised by the Stroud Vintage Transport and Engine Club. This non-profit making organisation raises money for national and local charities and up to 30 will be represented on site raising money and awareness of their respective causes. The rally is one of the largest events of its kind run entirely by volunteers from all the corners of Gloucestershire. • A free vintage bus service will be operating around the perimeter of the show site, and to and from Kemble railway station throughout the show to connect with selected First Great Western Trains.